The screen was manufactured with the patented MaxWhite™ material, which is advantageous for durability and resistance to crushing. It is also very easy to clean, so you can clean it with soapy water. This model actually boasts a large diagonal of as much as 120 inches, so it is ideal for spacious conference rooms and auditoriums. 4: 3 resolution allows you to use it for presentations, and for viewing photos and video materials. The motor, which is responsible for rolling and unrolling the canvas, works in a very quiet manner, which means it will not distract or annoy those present in the room. In addition, it is famous for its low power consumption and long service life. The LED on the wired control panel is too bright. If you are looking for a high-quality screen to watch your favorite movies in Full HD or 4K resolution, then you will definitely like this option: the special color and structure of the canvas does not distort colors, so you can fully enjoy the high-quality image. The case is completely made of steel and painted with black powder paint - this prevents the formation of corrosion and provides the screen with a stylish appearance. And the kit includes everything you need for easy and quick installation. Power cord is a bit short. 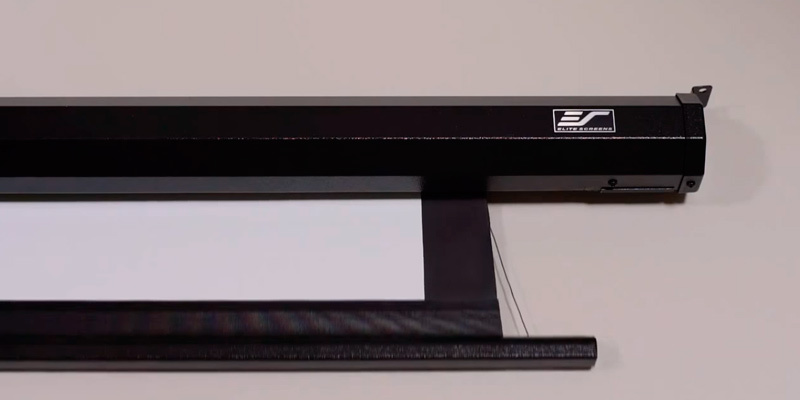 This inexpensive yet highly functional screen from Elite Screens compares favorably with most analogs in that it has an amazingly wide viewing angle, because it can be as much as 180 degrees. And it can also be synchronized with the projector so that it opens when turned on. The control panel uses RF frequency, so it can control the screen from as far as 25 meters away - an important plus when placed in large rooms. Moreover, there is no need to point the remote directly at the case. Some users complain about some wrinkles that don’t fade. This model will definitely provide easy installation and configuration, so everyone will find its use to be easy and intuitive. The extremely large screen size of 110 inches will appeal to people who want to immerse themselves in what is happening on the screen. 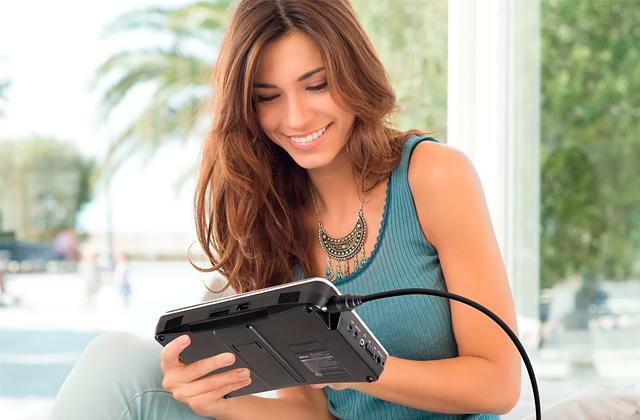 The long power cord allows you to easily connect the screen to the outlet, even if the outlet is far away. The wired control panel also has a long wire and makes it possible to fix it on the wall to comfortably use the screen without the remote. Black borders are very wide - a little distracting. Due to the 100" diagonal and 4: 3 aspect ratio, the manufacturer managed to achieve relatively small dimensions of the device - they are 92.5" x 74.5 ". Thus, it definitely finds a place in areas where space is limited, but there is a need for a screen of similar dimensions. Whether it is in the home or the office, motorized projector screens can have a variety of uses. They can be used for showing presentations, displaying old slides from a slide projector, or even as a replacement for a standard home television. Some people will find that they need a screen that can be used for a variety of purposes, and having a screen that works well for all functions is quite important for such people. 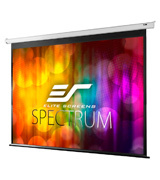 The Elite Screens ELECTRIC120V 120-inch Diag 4:3, Electric Motorized Projector Screen is a model that was made with a variety of purposes in mind. This 4:3 screen may not have the standard widescreen aspect ratio, but with a projector screen, this isn't so important as with a television, as borders aren't noticeable or distracting on a projector screen, especially when being viewed in a dark room. Along with this, the 4:3 aspect ration gives you extra screen real estate vertically, giving you quite a bit of leeway when adjusting the display angle or height of a projector. It also gives great backwards compatibility with older projectors that use the 4:3 aspect ratio without having to shrink the size of the projected image. Those who use a projector screen for displaying old slides will especially love this, as many old slides can be hard to view properly on a smaller screen. 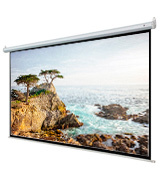 Despite the 4:3 aspect ratio of this screen, it is loaded with modern functions that measure up well against any other motorized projector screen. The 120-inch screen gives you a huge screen that works great in a large room, or even a small auditorium if it is needed for such an area. This is much larger than most television screens, with virtually no TVs available at an affordable price at this size. The screen itself is made of a multi-layer weave utilizing the MaxWhite material, giving a clean and clear viewing area for any projected image while ensuring maximum brightness and visibility. The viewing resolution should be sharp enough for even 8K projectors, giving you clarity that competes with any high-tech movie theater screen. 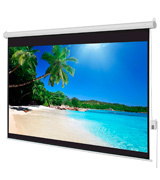 There are plenty of other features of this automatic projector screen that make it among the best of its class, including a durable casing with mounts for both wall and ceiling, an infrared remote control, and even a detachable three way wall switch, giving you plenty of options for controlling the screen. The high quality and durability of this motorized projector screen help make it a must buy for anyone needing a screen of this size, especially for those who want one with a 4:3 aspect ratio. There has long been a trend of many technophiles who love movies in creating their own home theater, trying to make a room in their house replicate or even better the cinema experience as much as possible. Comfortable chairs and drink holders are often included in this, with some chair manufacturers even creating certain chairs for this purpose. The hardest part of replicating the cinema experience at home, though, has always been the screen. 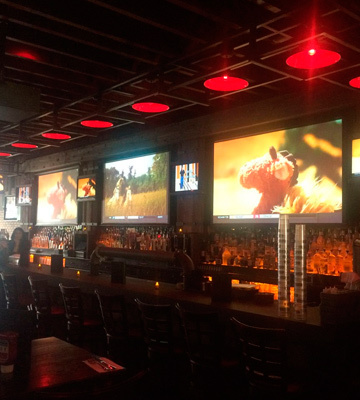 Although HDTVs helped out a lot in this regard, many projection screens were often lacking by not providing as clear of an image as possible. The Homegear LYSB00J22TNRI-ELECTRNCS 100” HD Motorized 16:9 Projector Screen solves this by providing a cinema-quality screen for the home. This 100-inch electric projector screen is able to display projected images that meet the quality of most cinemas, giving a true home theater experience. This is accomplished by providing a 16:9 aspect ratio matte white 1.2 gain screen that provides a sharp background for the displayed image, and is appropriately reflective as to give a great image without being too bright. The screen itself is even washable with soap and water, giving you the ability to keep it clean and bright. The brightness and clear picture quality provided by the screen is enhanced by a few features of this model. The screen provides a 160-degree viewing angle, ensuring that people from all sides of it can see a clear, sharp image instead of distorted colors, as what happens with other types of screens. The 25mm black masking borders help give a large boost to picture contrast, and the triple layer black backing ensures that light penetration is kept to a minimum, giving you vibrant color reproduction in the projected image. The screen itself is even resistant to fire, static, and mildew, ensuring a long service life. Other features are included with the screen beyond its ability to reproduce a projected image. The screen is housed in a durable steel casing that keeps it well protected while it is rolled up, which is accomplished with a quiet, energy efficient motor. The casing is both wall and ceiling mountable, and comes with the proper mounts for both options, giving you a great amount of flexibility in its placement. 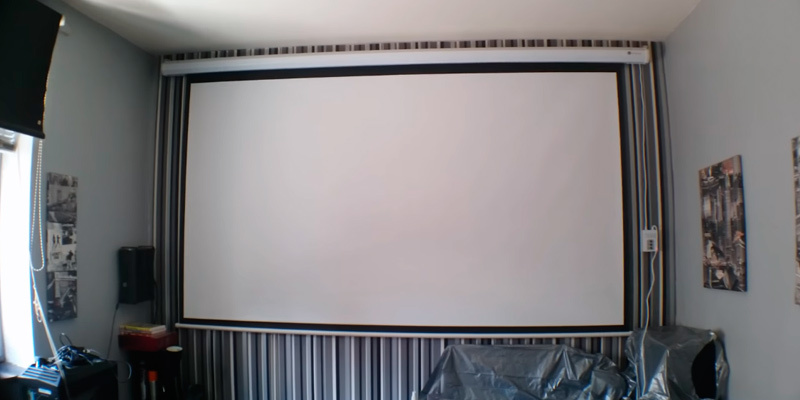 The projector screen also comes with a control panel that is wall-mountable, as well as an RF remote control that lets you control the rolling and unrolling of the screen from up to 25 feet away. Coupled with almost any type of projection system, with which the screen retains a high compatibility, it should let you create the ultimate home theater. Home theater enthusiasts most often want the latest and greatest technology for their home theater, and won't settle for second-rate products. Many of them are particular about the way that movies are displayed, opting for a truly cinematic experience that makes watching movies at home at least as good as, if not better than, watching them in a cinema. In this case, the screen is of particular importance, as many projector screens just aren't up to the same kind of image reproduction quality of an actual theater. 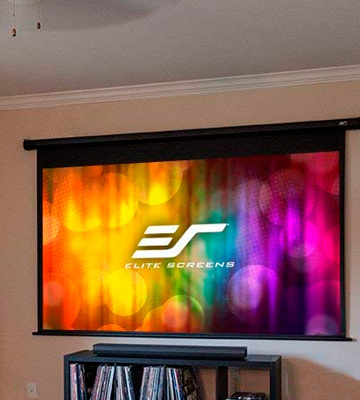 The Elite Screens ELECTRIC100H 100-inch 16:9 Electric Motorized Projector Screen gives you a cinema-quality screen that allows you to replicate the experience of watching a film at the cinema, but from the comfort of your own home. The large size and widescreen aspect ratio gives it a truly cinematic feel, with image reproduction being magnificent. This is thanks to the MaxWhite screen made of a multi-layered weave, giving 1.1 gain along with a 180-degree viewing angle. 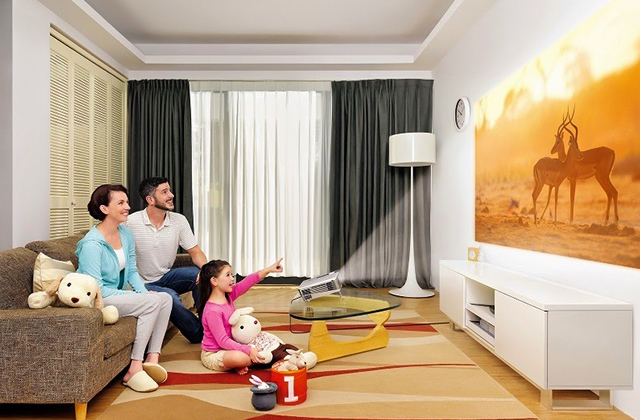 In fact, the screen's image reproduction is plenty sharp enough for a 4K image along with Active 3D, letting you experience the high resolution and even 3D experience that is available through a digital theater, provided that you have a projector that supports these features. 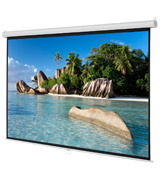 The mounting and placement flexibility of this motorized projector screen makes it quite easy to both install and use. 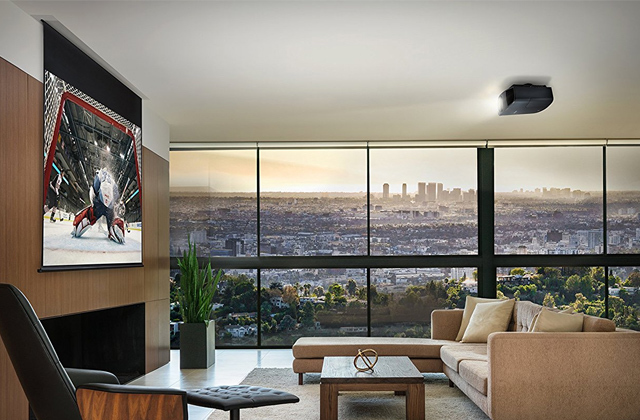 The screen itself can be mounted on either the wall or ceiling, and the screen kit comes with the appropriate mounts for both options, so you can put it wherever it will provide the best viewing experience. The mounting brackets are also quite easy to install, so those who are not well-experienced with installing such things shouldn't have any trouble installing it themselves. The kit comes fully assembled and it is plug-and-play, so setup time should be minimal, allowing you to jump right into experiencing its rich, vibrant image reproduction. 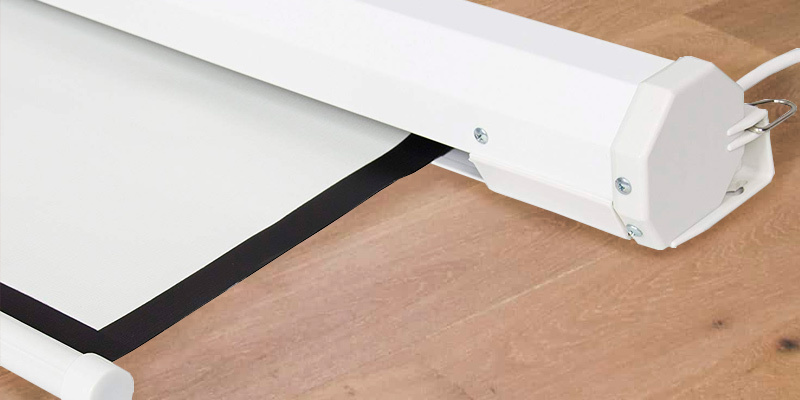 Included with the screen kit is a detachable three way switch, letting you roll or unroll the screen automatically, or even stop the rolling or unrolling at a certain point if you wish. There is also an infrared remote control that lets you do these same things without having to get out of your chair. One of the few qualms we have about this model is that the power cable for it is a bit short, but this can be easily rectified with an extension cable should the provided cable not reach the nearest power outlet. 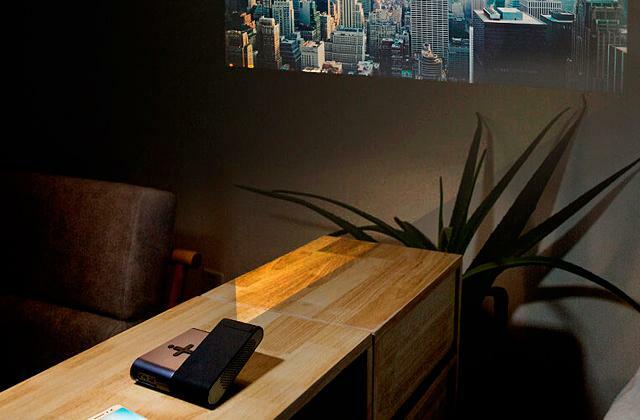 Despite this one small gripe, this automatic projector screen provides a truly cinematic experience at an affordable price. I have no issue with the quality of the screen material, and the "up and down" is quiet. It is easy to install (although heavy to hold during the process). The screen surface is a good match for home projectors with decent gain and image quality. One of the opinions of many home theater enthusiasts is that the larger the size of a projector screen, the better. Of course, size is hardly the only thing that affects the quality of a projected image, but to many people, a larger screen is closer to replicating the cinema experience than a smaller one. 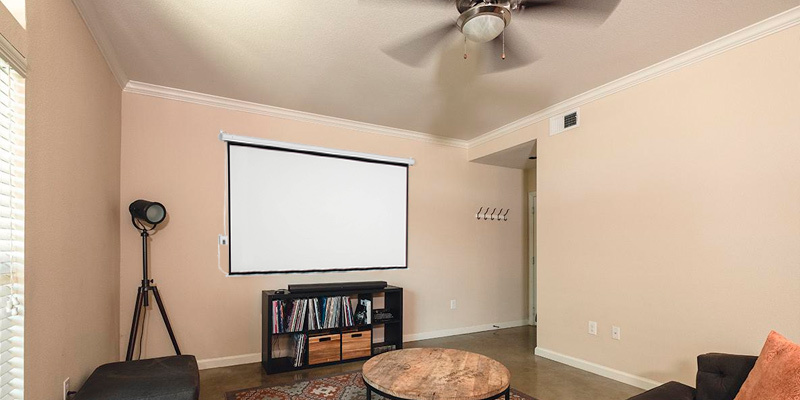 While it will probably never be possible to have a full-sized cinema screen in the home, having a large projector screen that can take up the entirety of a wall is certainly possible. The Homegear LYSB00J22TM7Y-ELECTRNCS 110” HD Motorized 16:9 Projector Screen is one such screen that gives you a large screen that can satisfy most home theater enthusiasts. This 110-inch 16:9 format screen is a bit larger than many of its contemporaries, giving you a little more screen real estate on which you can enjoy your favorite films. The image quality on this screen is superb, thanks to the high contrast 1.3 gain screen. The 1 inch black borders help give the screen a high contrast to its surroundings, and the three layer black backing ensures that there is no light penetration from either side, ensuring a bright, crystal clear picture without any distortions or inaccuracies with the color reproduction. 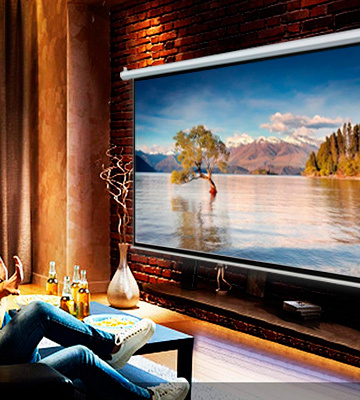 Having a motorized projector screen with retractable mechanism such as this one will help make you the envy of your neighborhood. The screen itself maintains great image quality with 160 degree viewing angles, meaning that the displayed image can be enjoyed by everyone in the room, no matter where they are. 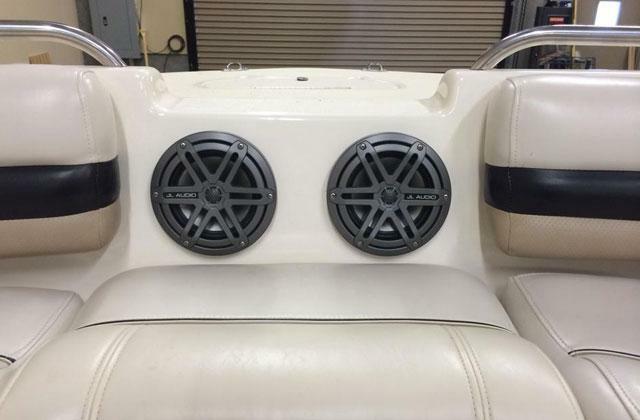 The system users a motor to raise and lower the screen, and the screen casing can be mounted either on a wall or ceiling, so you should be able to install it anywhere you want. One small gripe that some users have noticed, however, is that the screen may develop a small wave or indent in it, which can have a negative effect on the quality of the projected image. However, the screen can be cleaned with soap and water, so there shouldn't be any worries about it getting dirty or dusty. The screen kit includes mounting brackets that are appropriate for both wall and ceiling installations, as well as a wall-mountable control panel and an RF remote. The remote control works from up to 25 feet away, and it doesn't even need to be pointed at the screen in order to use it, as it uses radio frequencies instead of infrared. Although this makes it not compatible with most universal remotes, the convenience of using it will more than make up for it. 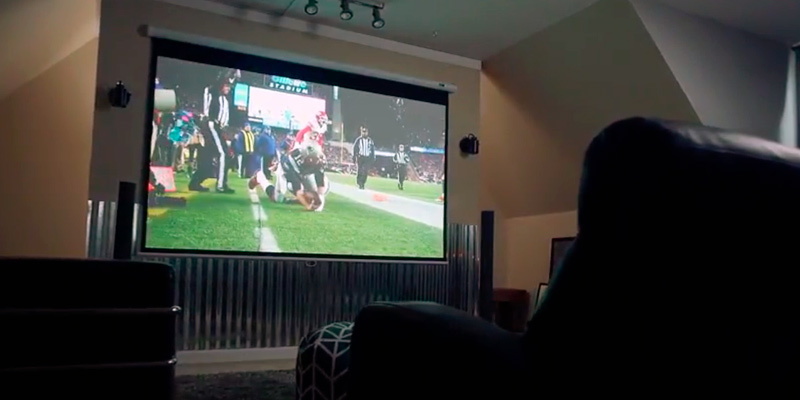 For anyone who truly wants the best home theater in their neighborhood, this motorized projector screen will not disappoint. Many people think that building a good home theater can only be done by shelling out thousands of dollars. However, this is far from the case. Many home theater aficionados have been able to build excellent home theaters on a budget, being careful to buy quality budget components for it. This can even extend to those who are basing it on a projector, as there are some good quality HD projectors that are quite affordable. If this is the case, then surely there must be a high-quality yet affordable screen as well. There certainly is! 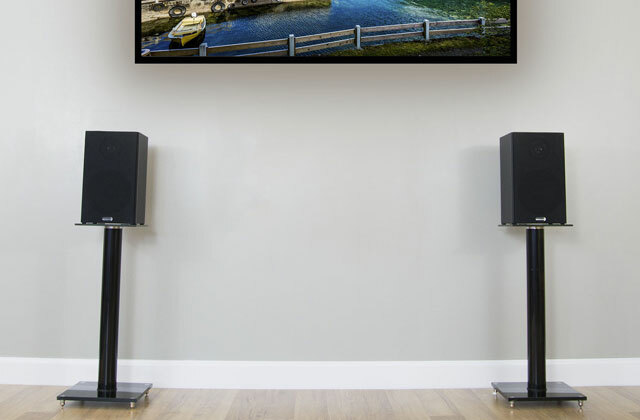 The Best Choice Products SKY1186 Motorized Electric Auto HD Projection Screen is a great budget screen that most people should find easily affordable. This 100-inch screen offers a 4:3 screen format, giving you flexibility in its use. Not only does it work well with displaying HD video content, but the screen format even makes it quite suitable for presentations and slide shows, letting you use it comfortably both at home and at the office. The matte white screen has a black border for giving a high contrast for the displayed image, and the 1:3 high gain and black backing allow for beautiful and highly detailed image quality from almost any source, be it a video or slide projector. 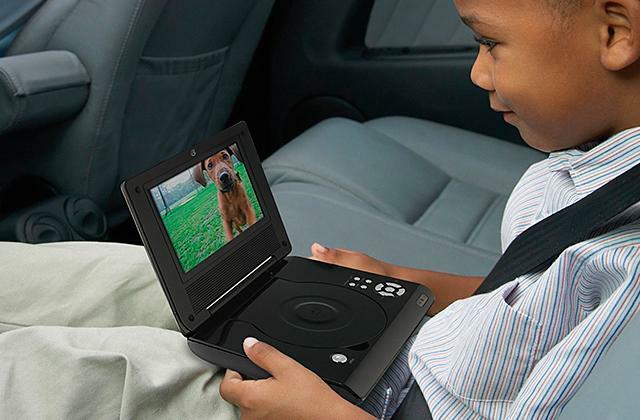 The high amount of flexibility in the use of the screen makes it perfect for almost anywhere you want to use it. Home, work, or even at social areas like a church or auditorium will be perfect places to use this screen, so it certainly isn't limited to just users of one type. The power cord that is attached to the screen casing is quite long, meaning that you have plenty of options of where to mount the screen, even if not immediately close to a power outlet. The screen kit includes mounting brackets for both wall and ceiling mounting, and the process of mounting it in either place is quite simple. The screen's motor is exceptionally quiet, which means that you won't have to deal with any distracting noise when raising or lowering the screen. Included is a remote control that lets you raise or lower the screen from virtually anywhere in the room, so you can do it without having to leave your chair. One small complaint that some users have is that the black borders are quite wide, which can seem a little distracting at first, but this is only a small complaint that most people get used to quickly. 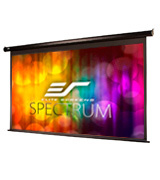 All in all, this very affordable motorized electric projector screen is the perfect fit for almost any type of user. What Is a Motorized Projector Screen? Anyone who has been to the movies can easily identify a projector screen, as usually a large white piece of material that is used to have projected images or films displayed on it. Of course, just going to the movies isn't the only place where you'll see one. 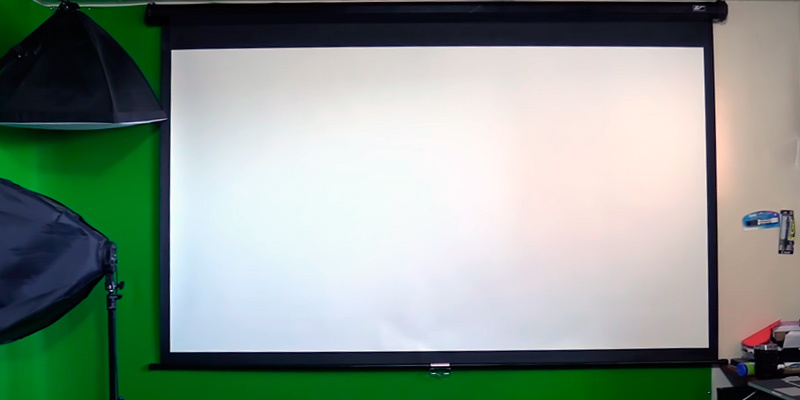 Many schools and offices use projector screens quite often, either when showing videos or giving a presentation that includes PowerPoint projections on the screen. Although they are nothing new, projector screens are becoming more and more common in our everyday lives. Even many home users now are opting for large projector screens instead of large televisions, for a variety of reasons: they require much less space, can be rolled up when not in use, and of course they are generally much cheaper than a television of the same screen size. Actually, televisions just haven't been made that are of the same screen size as many of the larger projector models. 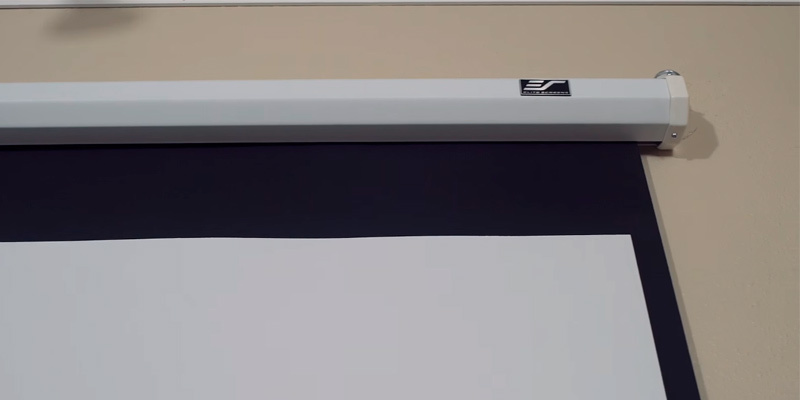 Although older projector screens were often manually rolled up and down, many now are motorized, making them much easier and more convenient to use. 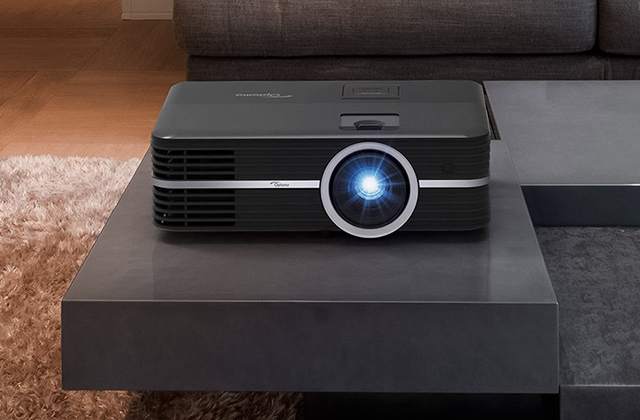 If you are looking for a good projector to use with your new motorized projector screen, take a look at our reviews of the best HD projectors and 4K projectors. 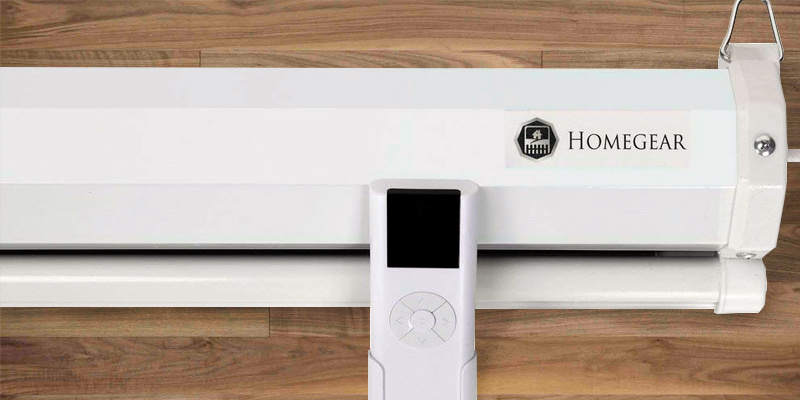 Most motorized projector screens will be quite similar upon first inspection, but there are actually small details that will set different models apart from each other. Finding the best motorized projector screen will come done to knowing which characteristics and features you want in a model, so it is best to be aware of what exactly you want before choosing one. Below are some of the most common characteristics to look for while trying to find the right projector screen for your needs. The most important characteristic for most people will be the screen size, which is most often measured by the diagonal size of the screen. The size of the screen is important for a number of different reasons, as people may need a larger or smaller screen size for different purposes. Smaller models should be fine for smaller rooms, whereas a large meeting room or auditorium will most likely require a very large screen. Knowing what screen size you want is important before purchasing a projector screen. Another important characteristic of a motorized projector screen is the placing. There are usually two options for the placement of a projector screen: ceiling and wall. Where you will want to place the projector screen is important, and whichever model you choose will need to support that placement. Fortunately, many projector screens support both wall and ceiling placement, and many even come with the required mounts for both, but it is best to ensure this is the case with whichever model you choose. 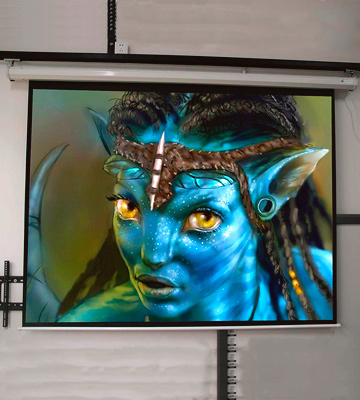 For any kind of projector screen, the screen material is an important characteristic to consider. 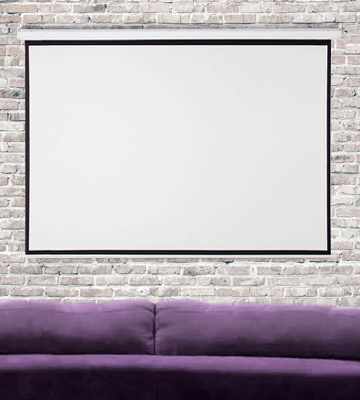 Most projector screens use a white surface for maximum visibility and reflection of the projected image, and having the whitest screen possible is something that most people will want. Of course, ensuring that the screen is durable and wrinkle-free are important aspects to consider as well, so having all of these characteristics should be something to consider. The controls and extra features of any projector screen should be considered along with anything else. With motorized projector screens, having easy to operate controls will be an important feature to consider, as well as any extra features that the screen might have. The extra features that motorized projector screens may have will vary widely, and will be entirely dependent on the model you choose, so be sure to check these to make sure they are the features that you will want or need. For those who don't know what it is, a home theater is a room or area within a person's home that is made to replicate the experience of watching a film at the cinema as much as possible. With the proliferation of high tech entertainment devices, the home theater experience has become more popular, as well as closer and closer to the experience of watching a film at a movie theater. In fact, some people have been able to make their own home theaters so good, they never had a need to visit the cinema again. Of course, putting together a home theater doesn't seem like a cheap proposition, nor does it seem easy to do. However, the reality now is the exact opposite. 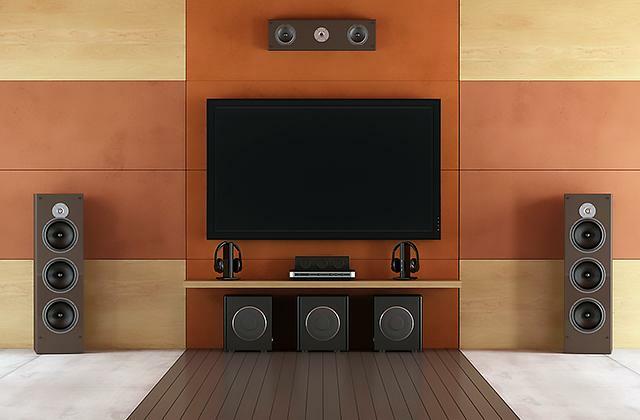 It is now possible to put together a great home theater system on a budget. How can one do so? 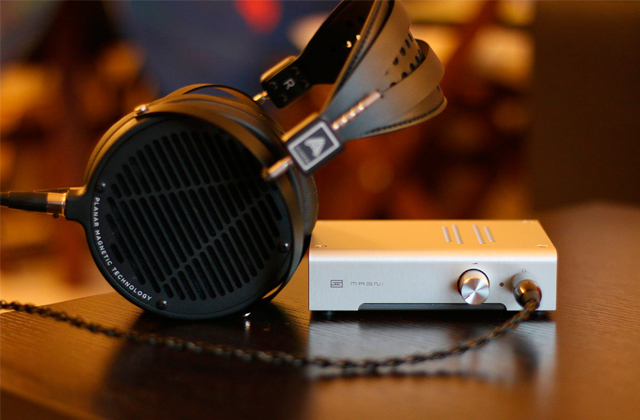 Read on for the components that you will need for creating your own amazing home theater. In fact, you may just find that you're already most of the way there! The above reviews should all give you a great idea of the viewing screen that you need for creating a great home theater. What's more, all of the above reviewed projector screens are quite affordable, to where combining their cost with that of a good HD video projector comes out to much cheaper than the largest HD home television. Many older home theaters were based around HDTVs, but with a good quality projector and projection screen, you have a much closer experience to the cinema, complete with a large screen. 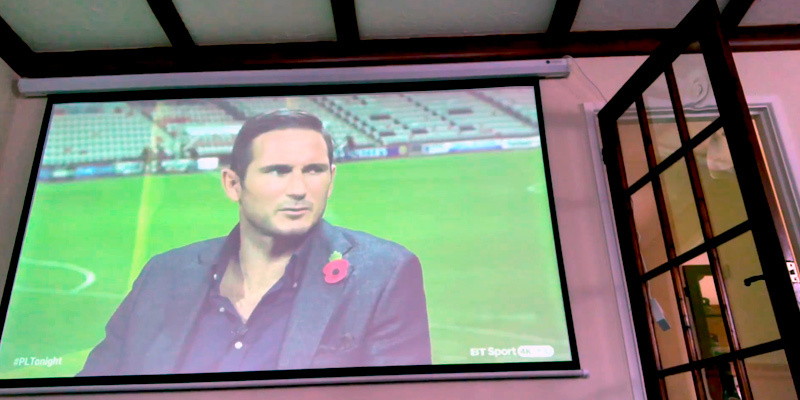 If you have already decided to purchase one of the above mentioned projector screens, you will need to buy a good HD video projector if you don't have one already. Many of the latest models are not just HD, but can even display 4K or even 8K video, which gives you a picture quality that may even surpass what you see in many cinemas. Just make sure that you can set up your projector in a place where you can easily project the image without interference. Many projectors can be ceiling or wall mounted, just like a projector screen. Some of the latest video projectors will include streaming video sources such as Netflix or Amazon Prime. However, many models do not, so you will want to make sure you have a good HD video source that can output video at a high enough quality. 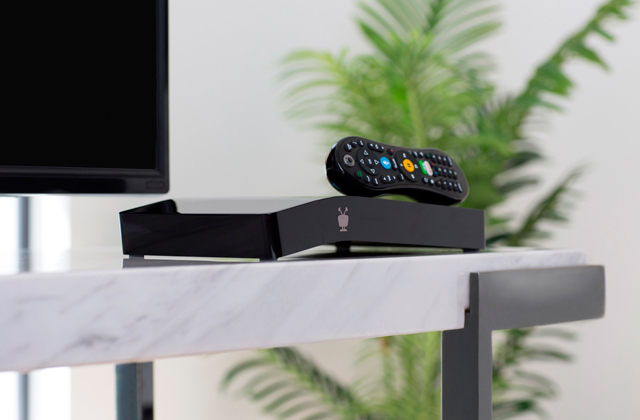 This can be done through a variety of methods, including Blu-Ray players or streaming video set top boxes. 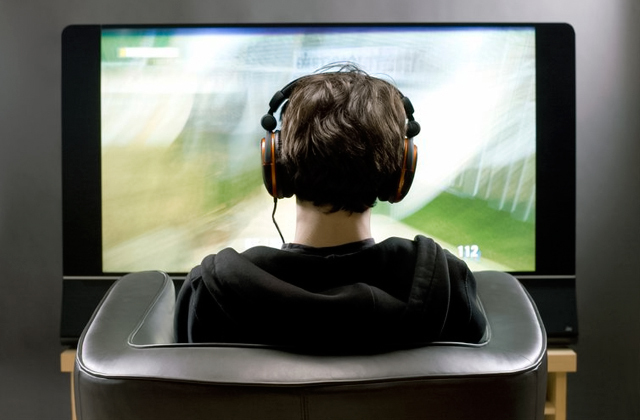 Even game consoles such as the PS4 Pro or Xbox One X can stream HD video. 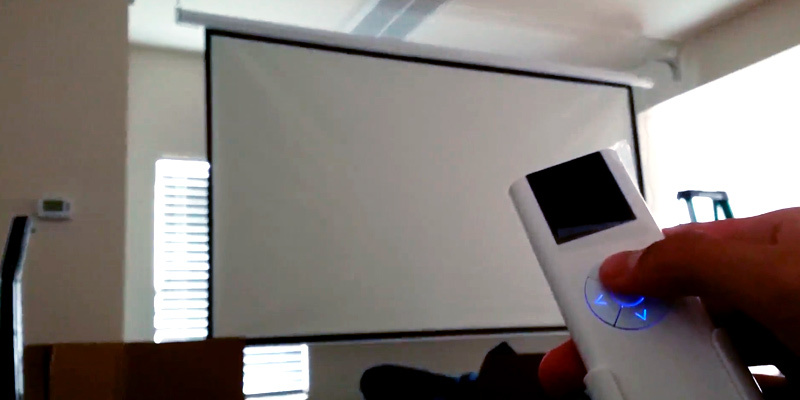 Just make sure that you have a good way of connecting your video source to the HD projector, and you're all set. One problem with seeing a movie at the theater, outside of having to deal with other people talking loudly or throwing their popcorn at you, is that the chairs are often not comfortable. This is where you can really make your home theater experience far better than that of a cinema, by having some very comfortable seating available. This includes a comfortable couch or recliner with footrest, letting you watch the film in total comfort. Chances are, you already have these, so just incorporate them into your home theater if you're on a budget. It just wouldn't be a home theater without some popcorn and soda! Thankfully, you can get both of these much cheaper from your local grocery store than what you would have to pay for them at any movie theater, so just stock up on them along with some other snacks, and you're all set!